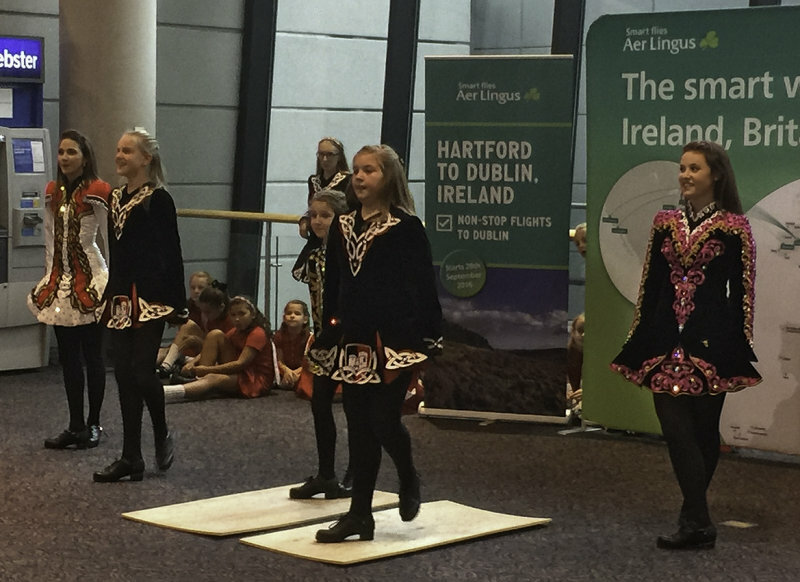 The Irish dancers are part of the celebration of the inaugural service by Aer Lingus (Irish Airlines) between Dublin, Ireland and Bradley International Airport in Windsor Locks, Connecticut. My wife's sister, who lives in Cork, arrived on the inaugural flight from Dublin yesterday. Apple iPhone 6 Plus ,Best at original size.